wedding wednesday no. 10 // we’re moving! Good morning y’all, and happy new year! After signing off to enjoy Christmas and New Years with family and loved ones, I’m thrilled to be back. I hate taking time away from this place, but always feel so refreshed and inspired after I do! Needless to say, I think 2019 is going to be an especially fun one here at Lonestar Southern, and I can’t wait to bring you along! Andrew and I will be making Gainesville, Florida our new home this July! That’s right, we’re moving y’all! I have been dying to share this update with you for months now, and it feels amazing and so “real” to finally get it out in the open. Let’s dive into some of the questions you may be having about this news, shall we? Why are y’all moving to Gainesville, Florida? 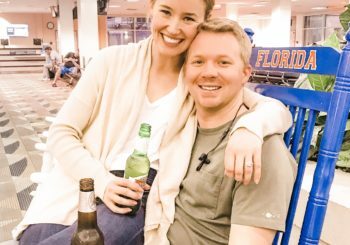 This past spring, Andrew matched into the ophthalmology residency at the University of Florida. You may remember seeing this Instagram from last March, which is where we actually when we found out he had matched into the program! He starts in July, so we are going to have a whirlwind month of getting married, honeymooning and then moving to Florida all back to back. I can’t wait! What’s the deal with this whole residency thing? During medical school, students decide on a “specialty” to go into after graduation. For example, some might choose family medicine, some might choose general surgery, some might choose dermatology, etc. Once graduating medical school, the next step is usually a “residency,” which is basically four more years of training in said specialty. In order to get into a residency program, med school students apply to programs all over the country during their fourth year of school, interview at those they hear back from, and then “rank” all of the places they interviewed at.. The hospitals, on the other hand, are all ranking their interviewees, too! Then, a couple of months before graduation, the medical school holds what feels like a party where all of the students find out if they matched, and where to! The med school students are called to the stage and handed an envelope with the hospital they matched to inside. They then open the envelope at the mic and announce where they matched to! I kid you not… it felt like sorority rush… but for real life. So, we’ll be moving for Andrew’s residency! After that, there’s the potential for a year-long fellowship which could be literally anywhere, and after that… who knows! How long will y’all live in Gainesville, Florida? Like I said above, residency programs typically last four years. Andrew’s specialty, however, is a little bit different. Instead of four years straight, ophthalmology residents complete a one year intern/transitional year before moving into a three year ophthalmology residency. He’s currently in his intern year in Ft. Worth, Texas right now, which he’ll finish before the wedding. Then, we’ll move to Gainesville in July for the three year residency program! Where are y’all going to live? Good question. We don’t know yet! We’d love to buy a house (the Zillow app has become my new favorite thing, haha!) and are planning on making moves in that direction this spring. So if you have any recommendations for neighborhoods or amazing realtors, we’re all ears! What does this mean for Lonestar Southern? I’ve had a few friends joke about a name change… after all, I won’t be in the Lonestar State for the next few years! :) But in all seriousness, it really doesn’t change anything! I feel so, so thankful that the Lord blessed me with a job I can do from literally anywhere, and I plan on doing exactly what I’m doing now when we get to Florida. So fret not, Lonestar Southern isn’t going anywhere! In fact, I’m especially excited to bring y’all along on this huge life change journey with me! From getting married to moving to a brand new city to furnishing a new home and everything in between, this is going to be a brand new season, and I can’t wait to bring you along for all of it! There’s going to be a lot of new around here, and I think that’s going to make for some especially fun content. Be honest… are you excited? I know that’s not the norm, but truly… I love any sort of change, big or small! So when it comes to this new adventure, I am truly thrilled! For one thing, I have lived in Texas my entire life. I grew up in Dallas, moved to Austin for school, and then came right back. Y’all know how much I love it here, and Andrew and I would absolutely love to potentially move back one day! But starting a brand new life in a brand new city is an experience I haven’t had the opportunity to embark on as of yet. I think it’s so transformative and growing to get out of your comfort zone and dive into a new community, and I am so excited for the chance to do that with Andrew! Another thing I’m looking forward to? Forming the foundation of our newly-wed years in a brand new place, just us two! Andrew and I are both incredibly close with our families, which I am so grateful for. In fact, our parents actually live just a few blocks away from each other. And as wonderful and easy as it would be to stay close by, I think it is going to be really healthy for us and for our marriage to start off a bit more “on our own.” To learn to rely on the Lord and on each other before anyone else as we figure out this new experience. To learn how to live together, make friends together, find a church family together, navigate residency together, and so much more! Of course there will be so much about Dallas that I’ll miss. My family and friends, for one. My precious bible study of high school girls. My favorite restaurants. The shopping. Soulcycle. Ranch weekends. All of the little things that have made Dallas feel like home nearly my entire life. But I have found so much peace, joy, true excitement and utter contentment in knowing that this is where the Lord has placed Andrew and I for the next three years. I am so excited to watch Him use this time to grow our love for Him and one another! 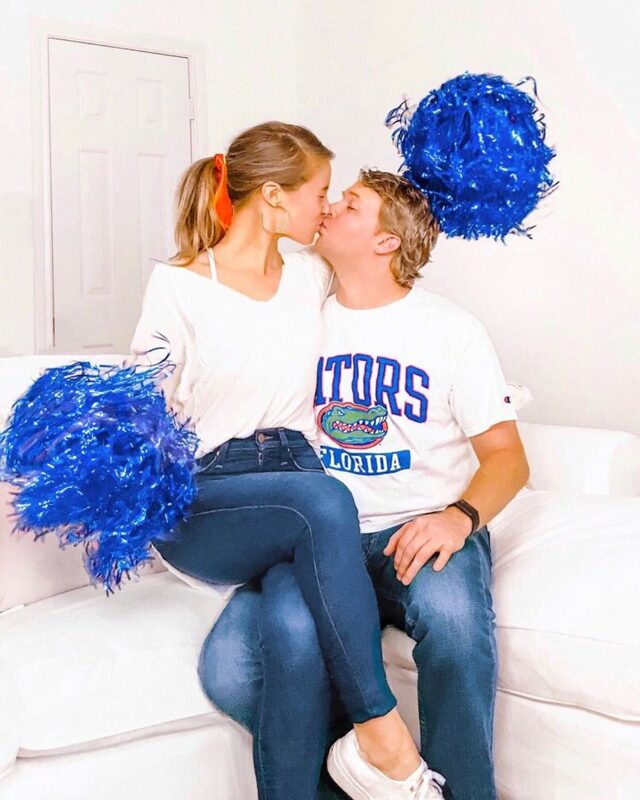 We prayed so much about this before Andrew matched, and so the moment he announced “University of Florida, Gainesville” on match day, I was ready to run full speed ahead. I will be traveling back to Dallas pretty often for work (thank you American Airlines for starting a direct flight from Dallas to Gainsville this March!) and still have almost half a year here in Dallas, so it’s no where close to a “see ya never” sort of thing. But it IS going to be a huge move, and one I would absolutely love your help with! No matter where you live, we would love your prayers. But if you live or have lived in Gainesville, I would love any and all recommendations! From favorite restaurants to realtors to churches to neighborhoods (we’re looking for a house!) to weekend getaway spots and everything in between, Andrew and I would LOVE to hear your favorites! 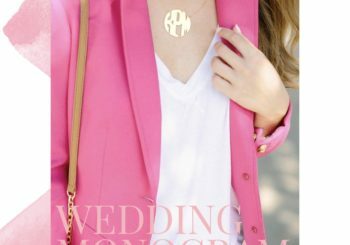 If you wouldn’t mind leaving a comment on this blog post so I can keep all of the recommendations in one place, that would be amazing. And feel free to pass along to any Gainesville friends of yours! So, friends, there you have it! New year, new last name, new city… I think 2019 is going to be my favorite yet. I can’t wait to experience it all with a brand new husband, and with all of you! I am from Gainesville and live in Gainesville currently! You are going to love it. you are going to love gainesville! Resources such as the one you mentioned right here will be incredibly useful to myself! I will publish a hyperlink to this web page on my individual blog. Im certain my site website visitors will come across that fairly beneficial.